Before he helped launch Image and that entailed, Rob Liefeld made a name for himself as one of the hottest talents over at Marvel. Much like his contemporary Jim Lee, he made his mark on the X-Men world though he went a step further. He created a whole new, much more EXTREME, team of mutants and called them X-Force. And then he proceeded to make sure that NO surface was left without pointless extra line work. 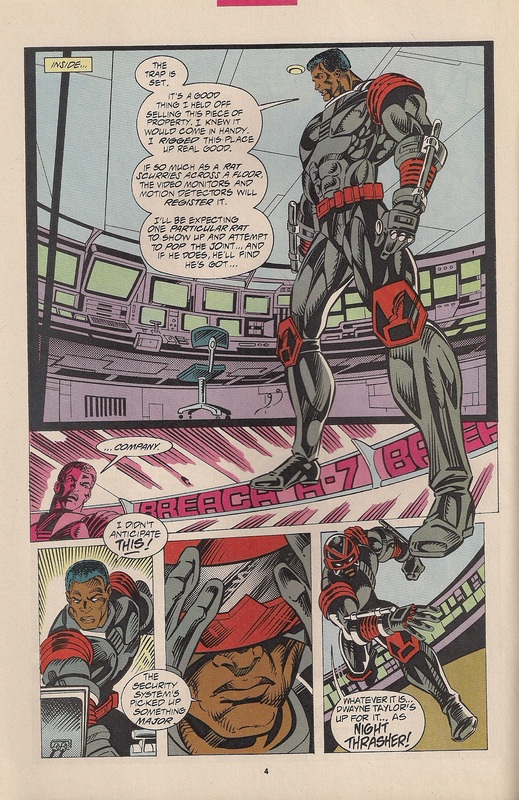 Ryan Daly bravely joins host Nathaniel Wayne to see if there’s anything worth preserving out of the debut issue of this series, X-Force #1. Listen to Episode 7: X-Force #1. 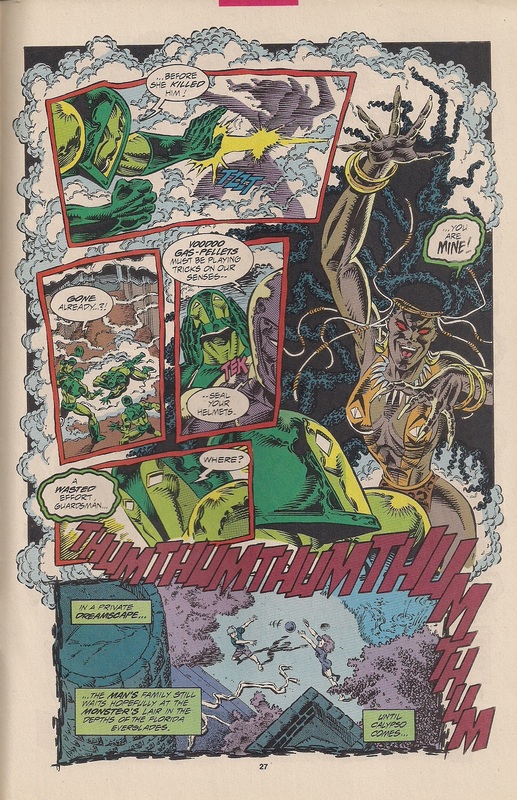 And now here are your choice page samplings of this book from the issue, with the art and story by Rob Liefeld and actual words on the page by Fabian Nicieza. Amputated hand or facehugger coming right at you? The hazards of amateur dentistry. Behold My Crotch 2: The Crotchening. What pupil-less hell have we entered into??? Ryan has a multitude of projects out there, but today I feel like plugging Dead Bothan Spies: A Star Wars Podcast. Every comic book line up needs an on the street style superhero. Marvel has Daredevil, DC has Batman (or more accurately the Bat Family because the Man himself is just as likely to be in space,) and Image put in their two cents with Shadowhawk. Host Nathaniel Wayne takes a look at the first two issues of Jim Valentino’s creation and sees if it’s worthy of the company it’s seeking or if it slips and breaks its own spine. Listen to Episode 6: Shadowhawk #1 & 2. 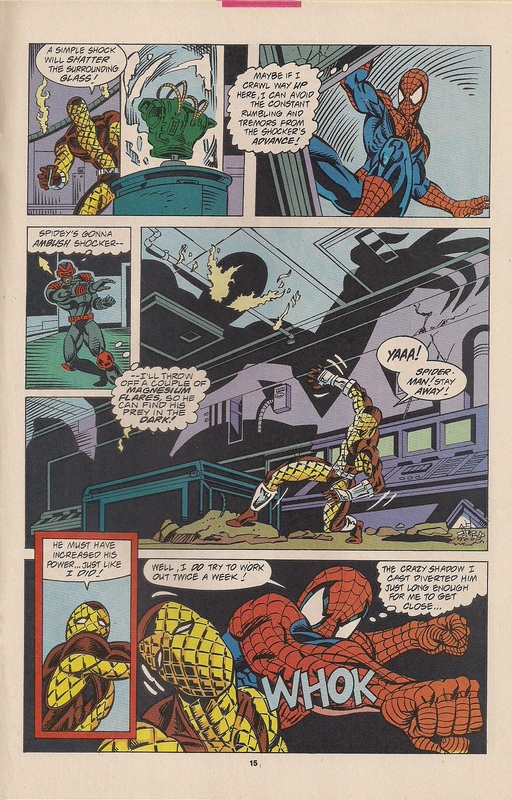 And now here are your choice page samplings of this book from the issue, with the art and story by Jim Valentino. The thrilling story of A Nig Htm Are Wal Kin G! Arson! The villain with a name so unique we had to be sure to put the trademark right over the exclamation mark, lest someone still our brilliantly original word! I never thought I’d say this but… Hey lady, the 80s called, they want their… yeah you know how this goes. We already hooked you with our striking first issue, but really we know you’re only here for Spawn. Wow… that was… uh… a thing that happened… Yeah, it sure was that, boy howdy. A reminder that the podcast theme song is by Erica Driesbach,and you can find more of her work at her website right here. 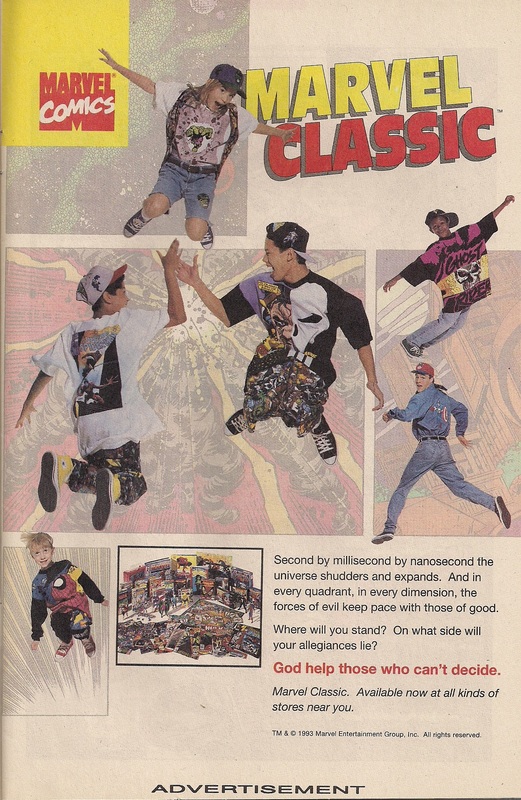 Because on occasion I come across amazing ads that could only have existed in the 90s, I’ve decided to make it an occasional feature of the blog to highlight these in between regular podcast episodes. Those who listened to the last episode may remember that Sean and I talked about this ad, and I couldn’t not highlight it here. 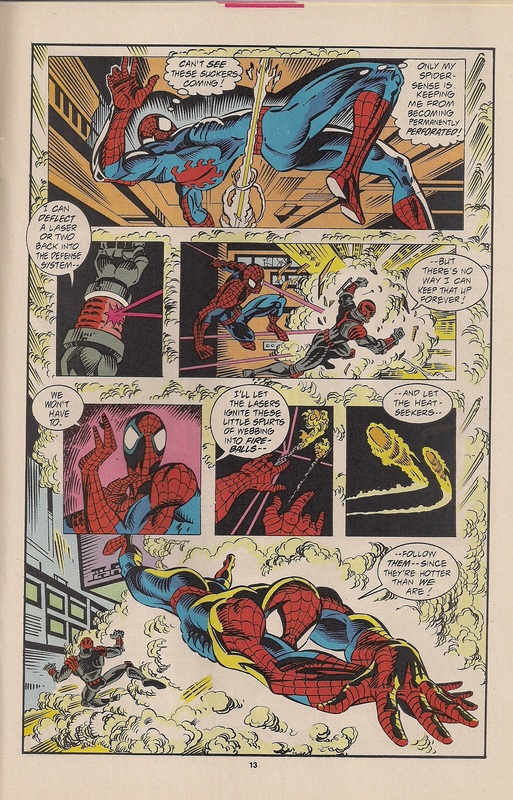 This stand alone issue of Web of Spider-Man tries to give a new spin on the Shocker. However it’s so insecure about its story that it splits the cover between that and the prologue for the next issue, and throws in a more EXTREME hero than Spidey for good measure. I brought along my friend Sean McFeeley for this one to help unpack this one full story, one story prologue and one of the most random interludes I’ve ever seen in a comic book. 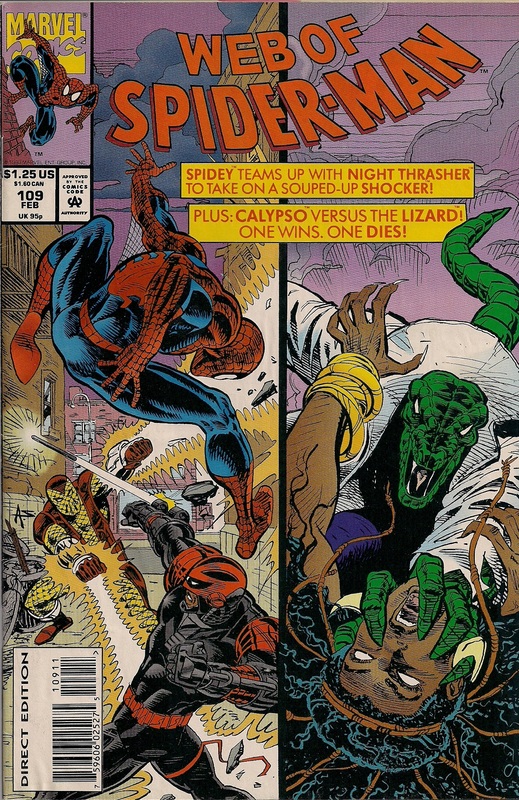 Listen to Episode 5: Web of Spider-Man #109. You can subscribe to the Council of Geeks Podcast, home of 90s Comics Retrial on iTunes or on Sticher. 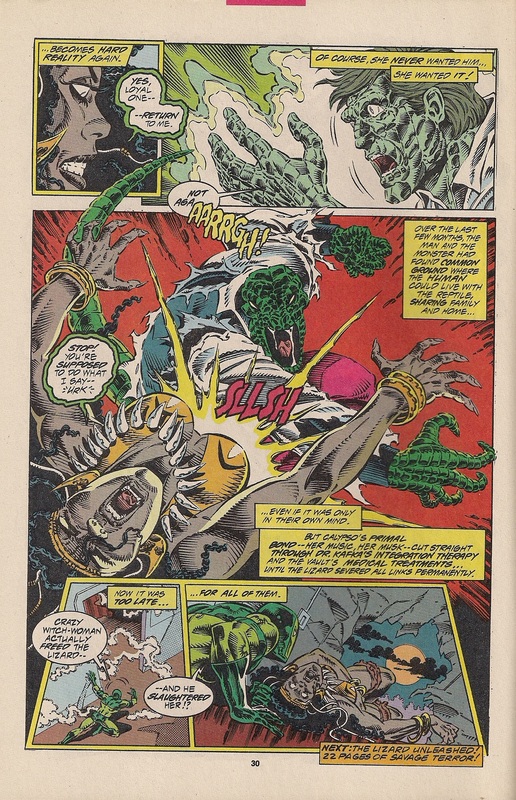 And now here are your choice page samplings of this book from the issue, with the main story written by Joey Cavalieri and art by Rurik Tyler. The secondary story was written by Terry Kavanagh with art by Alex Saviuk, who also did the cover art. Look at that last panel an try not thinking “I’m a sad pineapple.” I challenge you! Here it is! The EPIC showdown promised by the cover that will go down as one of the all time- oh, it’s over. And while Sean might not have had anything to plug I DO want to bring your attention to Erica Dreisbach, who was generous enough to compose the brand new 90s Comics Retrial theme music that you heard at the beginning and end of this episode. You can find more of her work at her website right here. 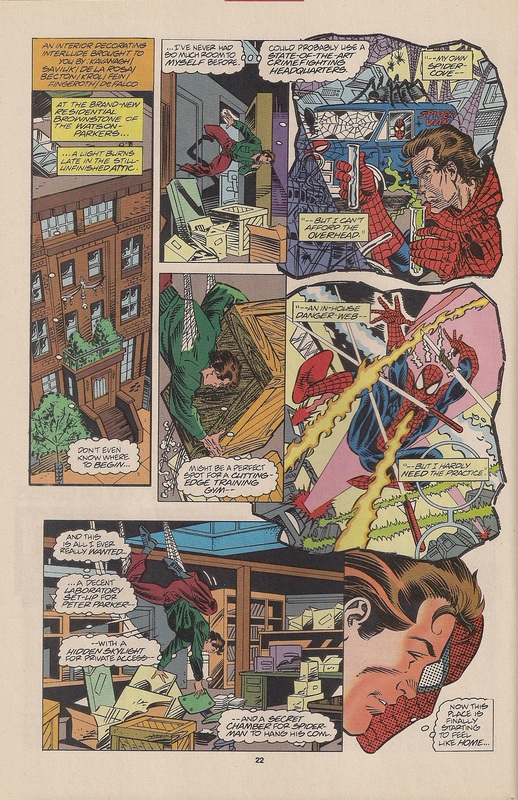 Finally, we’ll end this post with the vital design tips that we all know were the REAL selling point of any Spidey story.